Alongside the 2018 iPads, Apple could also introduce a new Apple Pencil that can be paired with the device by simply being in close proximity of the tablet. Apple was expected to unveil the new iPad Pros alongside the 2018 Apple iPhones but that obviously didn’t happen. 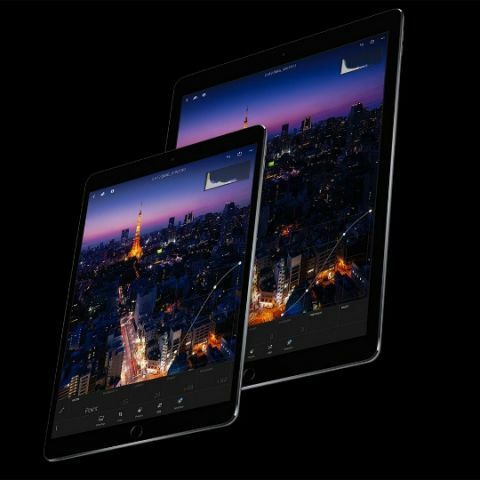 Now, a new report from 9to5Mac reiterates previous rumours of the alleged 2018 iPad Pro sporting a USB Type-C port and adds some new details about the device as well. The most interesting information would be the device’s ability to support 4K HDR video output to external displays. As per the report, there will be a new panel in the Settings app that will enable users to control the resolution, HDR, brightness and other settings for the connected display. The 2018 iPad Pro could also come with a new Apple Pencil that can pair by simply being in close proximity of the tablet. Citing references found in the code of the new iOS 12.1 beta, the report says that the upcoming iPad might come in two display sizes, with two Wi-Fi and two LTE models. There’s also some additional information about the device’s display and it could feature an edge-to-edge display without a home button, same as the new iPhones. A previous report suggested that the 2018 iPad will feature a notch on the display, however, the new report goes against it and suggests that even with thin bezels, the device will accommodate the TrueDepth camera system to enable Face ID. The device is also said to support operation in landscape mode. The last bit of information from the report on the upcoming new iPad Pro is that it might feature a new magnetic connector for accessories. The connector could be placed on its rear and is said to enable tethering with other devices like a new version of the Smart Keyboard and other third-party accessories. Last month, Ming-Chi Kuo had also reported that with the 2018 Apple iPads, Apple will ditch the Lightning port in favour of the USB Type-C. It is also expected to ship with the new 18W USB-C charger. Is Moto G has OTG USB support?